This time champagne went into the hands of Agnieszka! Excellent competition - Apneaman Static Challenge, in which the goal is to performs static holding the breath underwater 4 meters deep, without any additional equipment or wetsuit - in a completely "freebody"! What's more, starting list is random and each player knows just 12 minutes before OT the time of its launch and could not do any warm up in water. Such conditions are quite a challenge even for an experienced freediver. Agnieszka performance can be assessed as an excellent - with time of 4 minutes and 10 seconds won the first place in the women leaving behind Czechs with more than half of minute! This result gave Agnieszka the 7th place in the overall standings with men - a total of 35 riders on the grid. October 29th in Vienna took place competitions called 'Hydrodynamic' organized by the A.I.D.A Austria. The competition at the 50-meter pool started from the DYN / DNF discipline. Agnieszka gained the first place in the 167m with the monofin. The STA attempt was played in a small pool with a temperature of 31 degrees, which perfectly allowed for the relaxation of the body. Starting in the first series, Agnieszka hold her breath for 5 minutes 24 seconds taking the second place in this competition and second place overall in the women least for a Czech Alena Konečná. First place in the men took Martin Valenta, moving the national record of the Czech Republic for DYN to the distance of 273m! THE NATIONAL RECORD OF POLAND - DYN 205 M! During Freediving Finnish Open 2016 - Agnieszka Kalska made 3 great results, which gave her the victory in the general woman classification! 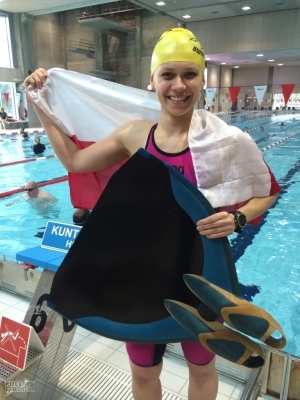 More over her result in Dynamic with fins was better the Polish National Record! It's the great begining of the season 2016 and shows a good predictions for the AIDA World Pool Championships which will be held in the same swimming hall in Turku on June 2016. Freediving Poland has announced the national team members for the AIDA World Pool Championships 2016, and among the Polish freedivers there's Agnieszka's name. It's going to be the 3rd time, when she will be competing with the best freedivers in the world. Achieved results in 2015 gave to her qualification in all 3 pool disciplines of freediving (DYN, DNF, STA). More over, her result in DYN (187m) was the 10th best in the world among all AIDA results of women in 2015. These workshops are the best option to start your adventure with the monofin or to improve your begining. 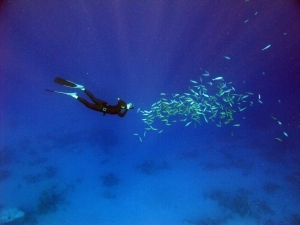 Mike Maric is a freediving and finswimming instructor and a great specialist of teaching monofin. He's a founder of the Swim Like a Dolphin project, which uses methodes to find yourself to become a dolphin underwater. You don't need the monofin to participate, we'll help you during the workshops to find the best for you. The one-day-program conatains 2 theory lessons, 2 pool sessions and 1 dry session. The next deep course in the blue will be held on 15-22. December 2015 in Dahab, Egypt. 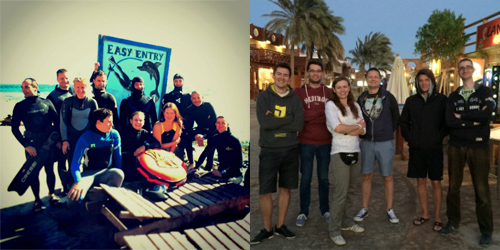 After one week of deep diving, morning relaxation and breathing session with background of knowledge you will be able to reach the 1st Level of Apnea Academy Outdoor Freediver and get the international license recognized and accepted worldwide. For more advanced freediviers we give the opportunity for training sessions individual or in groups. 21-27th of June I was participating in the AIDA World Pool Championships which was held in Belgrade, Serbia. I competed in 3 disciplines: DYN, STA and DNF. My performances in qualifications advanced me to the finals, where I was trying to improve my results and keep the best possible places. I won two finals B for DYN and STA with new Personal Best results. The competition had been run in the outdoor poor while the cirucumstances were not at the athlets' side. But that was for all the same and the strongest have won. Anyway, with my best results in such conditions, that's a good prognostic for farther way to my goals. The next world champs will take a place next year in Finland. Now it's time for the next period of hard training and performances in several places in Europe. In the next days (21-27.06.2015r.) I will compete in Belgrade during the AIDA World Pool Freediving Championships. Thanks to my the greatest trainers: Mike Maric, Luca Marazzina, Alessandro Vergendo, I'm sure to make there my best performances and gain satisfaction of the all work we've done so far. More details about the competition you can find following the links below. The next direction is the central south Europe, the Murter island in Croatia - 25th July - 1st August. There's everything what the freediver needs - blue deep water, the Sun and instructor who helps to develop your skills avoiding mistakes in the behavior underwater. Contact with us and we will advice you what training course is the best for you and how to organize your travel and accomodation. We were there again! 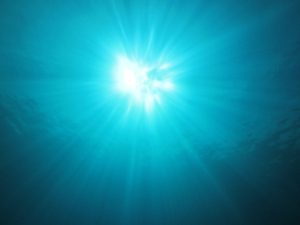 In the endless blue lighted by the always present Sun... With a group of motivated and enthusiastic freedivers, the Blue Hole had no chance and has been deeply explored! The team did great and everybody got new experiences and has made the next step discovering his strenght and power diving freebody holding the breath longer than it was expected! See you soon in back here in Poland and start prepare yourself for the next trip and summer season! 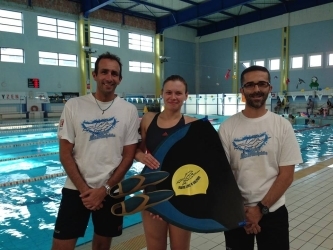 Since July of 2014 Agnieszka has begun trainings under the supervision of Mike Maric, who together with Luca Marazzina and other members of the Swim Like a Dolphin Team lead her in a professional training program as a freediving athlete.